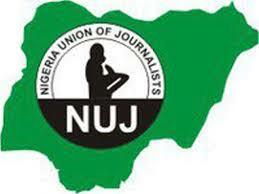 NUJ demands arrest, prosecution of killers of Bayelsa journalist – Royal Times of Nigeria. The Nigeria Union of Journalist (NUJ) has urged the Inspector General of Police, Idris Abubakar, to ensure the arrest and prosecution of the killers of Mr Famou Giobara, a broadcast journalist in Bayelsa. The union made the request in a communiqué issued Sunday at the end of the NUJ National Executive Council (NEC) meeting, held in Gombe. The communiqué was signed by the NUJ National Secretary, Malam Shuaibu Leman. The union is also demanding that the case files of all slain journalists be re-opened, including those of late Dele Giwa and Bagauda Kaltho. The communiqué further condemned in strong terms, the withdrawal of a Punch reporter, Olalekan Adedayo, from the State House and urged Presidency to reprimand the Chief Security Officer responsible for the act. The union challenged the Federal Government to sanction state governments that failed to properly utilise the first batch of the Paris Club refund. The communiqué further commended the anti-corruption war of the present administration and also called on the National Assembly to ensure quick passage of the Petroleum Industry Bill, to stabilise the sector. The NUJ commended the Gombe State Government and the State Council of the union for the successful hosting of the NEC meeting.